The Sony RX100VI earned a DPReview Silver award because of its unequaled combination of capabilities and size. 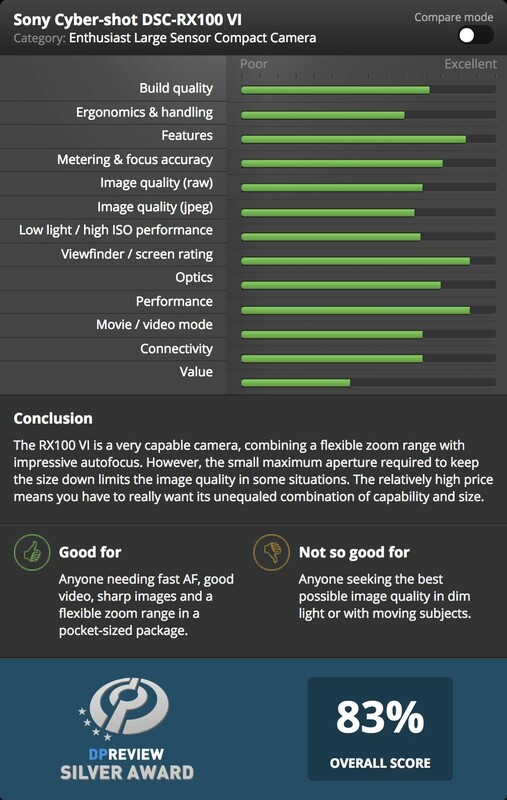 It’s a very capable camera for its size and the RX100VI should be able to perform well in all but the most demanding of low light situations. You can read the full review on DPReview. This entry was posted in Sony RX100 and tagged RX100 VI, RX100VI, Sony RX100 VI, Sony RX100VI. Bookmark the permalink. Trackbacks are closed, but you can post a comment.